LAX has 11 animal relief stations pre- and post-security. LAX has the most indoor pet relief stations of any airport in the U.S.
A pet relief station located in Terminal 6 inside the open-air atrium. LAX leads the nation with 11 indoor pet relief stations – one station in eight of the airport's nine terminals, and three outdoor stations located in the Lower/Arrivals areas. 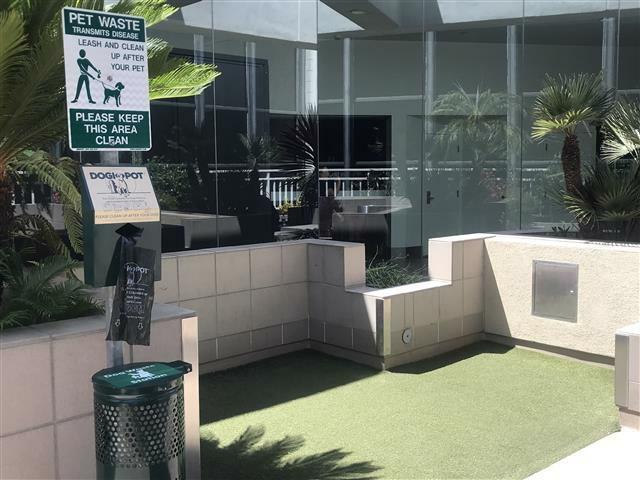 LAX has prioritized making pet-relief areas accessible within the terminals so that guests can enjoy the convenience of remaining inside the terminal or boarding areas, without having to exit post-security areas to relieve their four-legged companions. 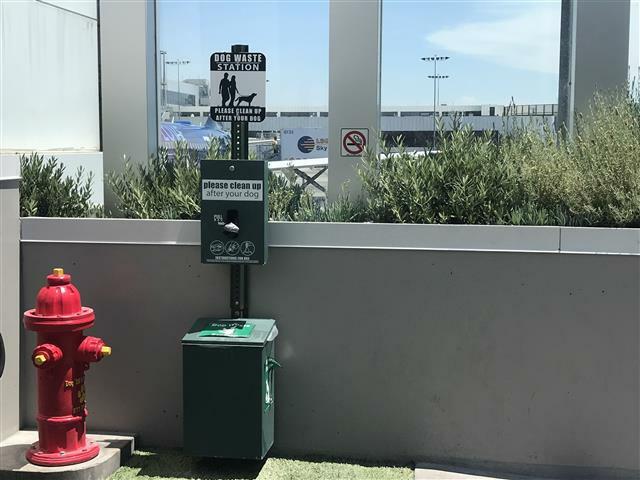 The pet relief stations are an important amenity for those traveling with service/companion animals, and are also used by the Los Angeles Airport Police, Los Angeles Police Department, Transportation Security Administration (TSA) and other K-9 teams deployed at LAX. "At LAX, we want to make traveling smoother and more enjoyable for everyone - including our four-legged friends," said Barbara Yamamoto, Chief Experience Officer, Los Angeles World Airports (LAWA). "Our animal relief stations allow our guests easier access to much needed facilities, and help create a more positive environment for all those traveling through the airport." Pet relief station situated in the center of Terminal 3 inside the open-air atrium. The more than 100 volunteer dogs with LAWA's Pets Unstressing Passengers (PUPs) program also enjoy the convenience of the pet relief stations, as the dogs and their owners walk the terminals and provide comfort to guests and staff. The PUPs program, the largest airport therapy dog program in the United States, is celebrating its six year anniversary this month. LAX also has retail shops that sell dog treats and toys, including Ashland Hill in Terminals 3 and 7, which sells dog biscuits. The Farmer's Market in Terminal 5 also sells a variety of dog toys and treats, including mini bones in snickerdoodle and peanut butter flavors. There are also more than a dozen water bottle refill stations found throughout the airport provide an excellent way to fill a thirsty dog's bowl. 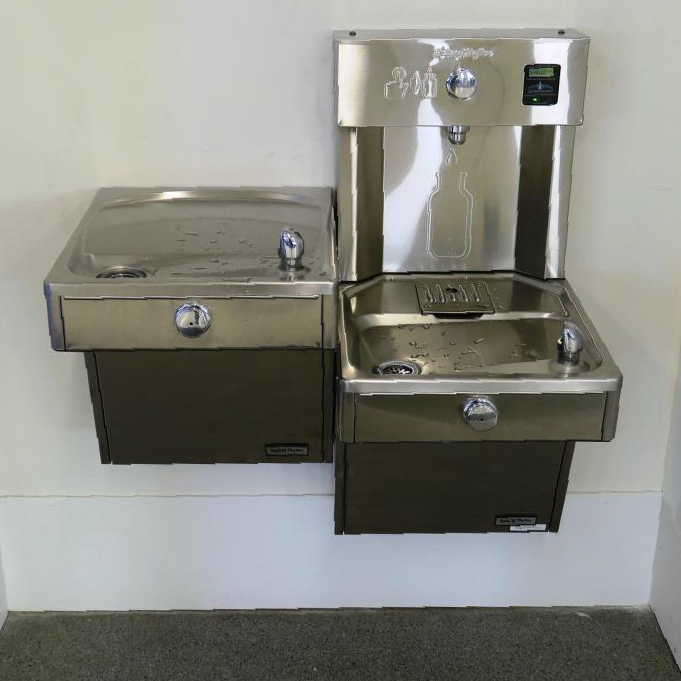 Water bottle refill stations are located throughout LAX, and are perfect for filling water bowls. For travel regulations and additional information regarding flying with a service animal or pet, guests are asked to contact their airlines directly. Follow us on our Instagram page today as three of our PUP therapy dogs takeover the account and show you how they make guests' experiences at LAX unforgettable and special.